Maverick director Ram Gopal Varma loves Bipasha Basu's red hot bikini in the first Players' trailer. 'Just saw 'players' first look ..Bipasha is looking like a billion dollar bill aaaaahhhhhhhh!' the director tweeted. Director Sujoy Ghosh liked the poster. 'oh I like this PLAYERS poster with 3 minis coming out,' he wrote. Bipasha Basu thanked everyone for the feedback. 'Thank you fr d amazing response to the #players trailer and posters! Abbas mustan make their films in 'Super Style'!' she tweeted. We also hear that RGV is planning a sequel to Ab Tak Chhappa with Nana Patekar. Does that mean RGV will rope Bipasha for the female lead? Only time will tell. With Aishwarya Rai Bachchan's due date inching closer, the Bachchans are busy preparing for the arrival of the new family member. Amitabh and Jaya Bachchan went for shopping yesterday. 'Out again with the wife to shop .. Goodness.. there is such a lot of excellent stuff being made here in India .. Amazing ! The strength of a family is its relatives in unison..break that up and you break the family..Happy hours spent with family relatives,' Amitabh tweeted. The family is holidaying in a secret place near the sea. 'AWAY !!! a surprise break, rest and sea and sand and the quietude of distant waves, among swaying hammocks and green golf course!' he updated. 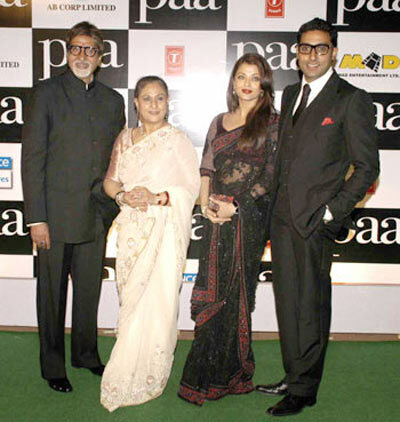 Meanwhile, papa-to-be Abhishek Bachchan completed two years on twitter yesterday. 'oh, i almost forgot. 2 yrs of Twitter for me today. thank you all for being such a cool crew!!! couldn't have asked for more. big love!' he tweeted. It seems Preity Zinta is over her breakup with Ness Wadia and is concentrating on her professional life. The actress revealed to a fan that she had put on 8 kilos during the IPL. But now, she is working for her upcoming film, Ishkq in Paris. 'Been working out like crazy so that I look good in Ishkq in Paris ! Had Put on 8 kilos in the IPL,' she tweeted. Preity isn't the only one. Shabana Azmi is also keeping herself away from Diwali sweets. 'Oh God! The chocolates for Diwali are still coming In! They lie temptingly on the table as I tear myself away from them. Will power testing,' she wrote. Meanwhile, Lara Dutta is loving her Ishqk in Paris. 'Taking the train to Paris! :-). Something I haven't done for many years! Loving the journey and the french countryside,' she updated. 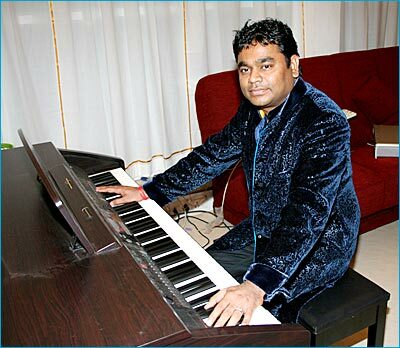 The Mozart Of Madras, A R Rahman, will start his world tour from December 9 in Dubai. He will be performing many of his hit songs including the songs from Rockstar. 'Following on from our tour that performed earlier this year in Nagpur and Bangalore, we are very excited to be bringing the same show to Dubai with TalentBrokers on the 9th of December. Directed by Deepak Gattani of Rapport Global, we will be performing many of the hits that you love, including some of your favorite songs from Rockstar,' he tweeted. Apart from the concert, the musician is also busy with the post-production of the DVD of his last tour. 'In the meanwhile, post-production is on in full swing on 'The Journey Home' concert tour which concluded last year. This will be out on home video shortly,' he added.